Mr Gibbons is an unpretentious working musician (vocals, guitar, harmonica) from Birmingham (England, not Alabama) who has been recording and touring steadily, but scarcely spectacularly, since the 1960s and whose main claim to fame came through charting with a cover of Chuck Berry’s ‘Tulane’ in the mid-seventies. The genesis of the Project came out of his conversation with another Brummie, Dave Pegg (the bass player from Fairport Convention). Both were Dylan fans and their thoughts turned to putting together a collection of their favourite songs. If it were me or you of course, we might just draw up a playlist for our i-pod or burn a custom CD for the car – but these guys are professional musicians: Gibbons was an experienced band leader and Pegg, at this time, was the owner of a well-regarded recording studio and a boutique record label and so what resulted was this album. The pair each pulled one of their regular collaborators into the venture: P.J. Wright was part of Gibbons’s main band (playing steel, pedal steel and slide guitars) and Simon Nicol (guitar/vocals) was Pegg’s bandmate in Fairport. Though not featured on the sleevenotes or artwork, the drummer on all tracks was Gerry Conway (who was at this point just joining Fairport). What they put together was a really listenable collection of fifteen tracks – fourteen by Dylan of course, but also an opener (‘Colours to the Mast’) by Gibbons. 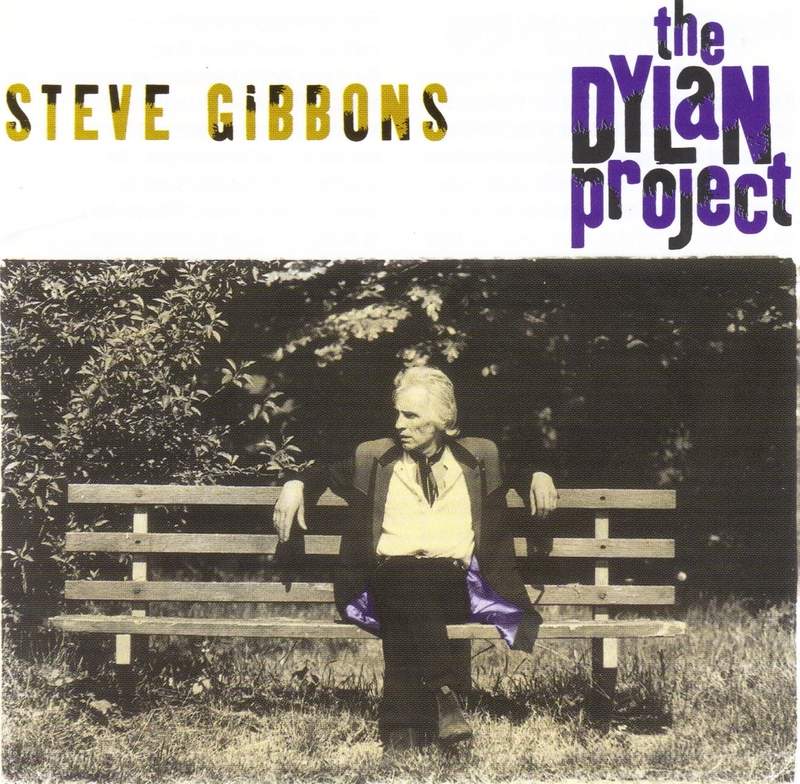 This is an expert pastiche but one which is an affectionate, celebratory, tribute rather than a parody – and which showcases how well Steve Gibbons’s gravelly voice can handle Dylan’s material. The sleevenotes are great too, as each of the four protagonists describes the circumstances by which the project came together and their own reflections on what Dylan means to them. The cover tracks include some of my favourite songs – (‘Simple Twist of Fate’; ‘I Want You’ and ‘Absolutely Sweet Marie’) and also some which I’d not appreciated sufficiently in their original incarnations (‘Ring Them Bells’ and, especially, ‘Dark Eyes’). In all of them the backing arrangements are sympathetic – but not in awe of the originals. More importantly, you get the feeling that all involved were having a thoroughly enjoyable time working on material they knew and admired. Yes, it’s ‘only’ a tribute album by a bunch of old men and of course it’s not the same as watching Mr Zimmerman play his own songs. Since Bob Dylan is as unpredictable as ever though, it’s unlikely you will hear more accomplished live performances of some of this material, played by their writer, with familiar arrangements, in small to medium venues. Clearly others feel the same way – which is why The Dylan Project continues to tour regularly. (PS The Woodworm label is no more but the Dylan Project’s recordings can now be found on Road Goes on Forever records at: http://www.rgfrecords.demon.co.uk/current_releases.htm ). 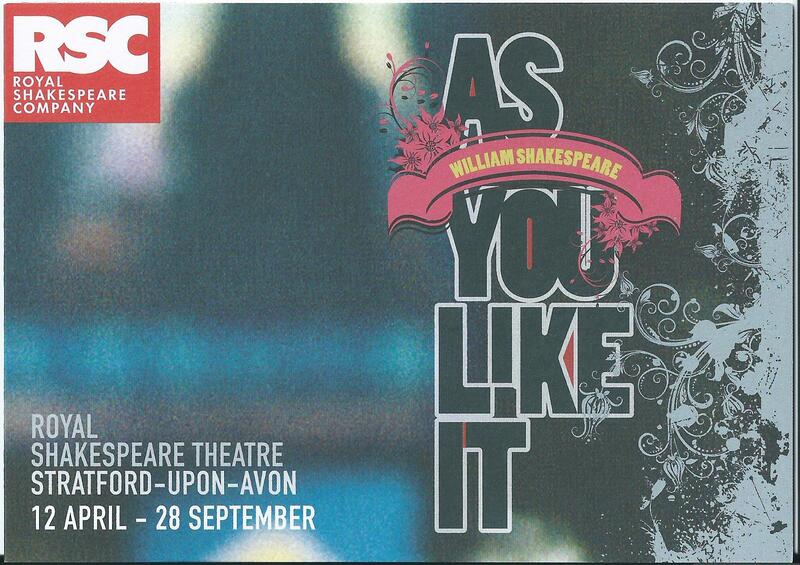 Very enjoyable matinee performance of Shakespeare’ s As You Like It by the RSC Stratford at today – lead players were Pippa Nixon as Rosalind/Gannymede; Alex Waldmann as Orlando and Joanna Horton as Celia. Cliff Burnett played Duke Senior in a very ‘Bill Nighy-like’ rock’n’roll fashion! Original music by Laura Marling no less! And unless I was very much mistaken, Dave Pegg, bass player of Fairport Convention was sitting opposite in the audience.